Is it time to hit the panic button? The Yankees have dropped 9 of their last 12, fourth in a row - all against division rivals, and have seen their 10-game lead in the division cut in half over the last two weeks. Tonight was a game they should have won, and used as a pacesetter game to get back on track. 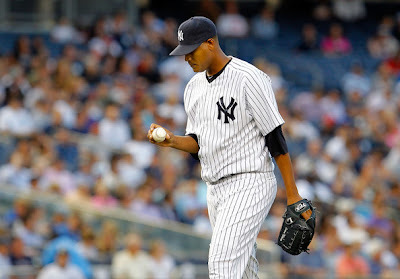 Ivan Nova started the game with a 3-up 3-down inning, and the Yankee bats came out roaring in the bottom half of the first. For those of us thinking this one was in the bag, we were the victims of a cruel joke as Nova had one of the worst outings of his career. Staked to a 5-0 lead, Nova allowed the first two runners to reach in the top of the second. He responded by striking out the next two and was one out away from getting out of the inning. What happened next was hard to watch. A double and a couple of singles cut the lead to two. Then Nova gave up Chris Davis' first career grand slam, slamming the door on all the momentum the offense garnered a half inning earlier. What made it especially difficult to swallow was that the Yankees, in the bottom of the first, were finally doing what they have not done all season, and yet needed to do. They were manufacturing runs, not exclusively relying on the long ball. Derek Jeter led the game off with a double, and Curtis Granderson followed with a base hit. 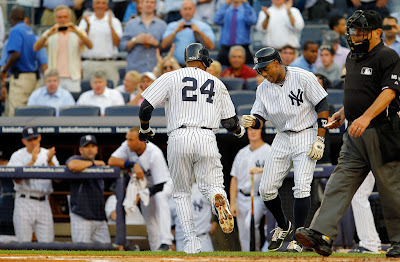 Robinson Cano then hit a 2-run home run for his 23rd of the season. The hit parade continued as Nick Swisher got a single, and two batters later Eric Chavez got a base hit. With men on first and third,Ichiro Suzuki hit a hard grounder back to the pitcher that Chris Tillman could not field, scoring the fourth run. Russell Martin got the final hit of the inning, scoring the fifth run, but also resulted in the second out as he strayed too far off of first. After falling behind 7-5, Ivan Nova extended his lead in extra-base hits allowed, giving up the eighth run on back-to-back doubles Lew Ford and Wilson Betemit in the top of the third. He gave up a lead off double to Adam Jones, who came around to score on a Wilson Betemit single. To his credit, Ivan Nova did not call it quits, giving the Yankees 5 innings and keeping the bullpen from being completely depleted. Boone Logan and Cody Eppley did their best, holding the Orioles down in the hopes of keeping them in the game. But Clay Rapada gave up a two-run home run to Nick Markakis - the first batter he faced - in the top of the 8th to extend Baltimore's lead to 11-5. Nevertheless, our hitting never recovered. Following the first inning, the Yankees reverted to the hitting patterns that have gotten them in trouble of late. They went 0 for 4 with men in scoring positions, putting eight consecutive zeroes up on the scoreboard. 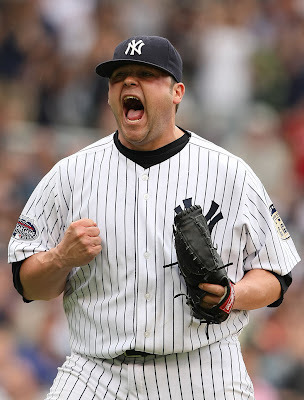 In other news, Joba Chamberlain was activated from the disabled list prior to the start of tonight's game. This should provide a nice boost to the bullpen and to the morale of the team. Also, the Yankees acquired third baseman Casey McGehee from the Pirates for pitcher Chad Qualls just before the non-waiver trade deadline. He is expected to join the team tomorrow, and should provide Joe Girardi some good options for third base. Joba Chamberlain made his second rehabilitation appearance on July 29th for the Yankees Double-A club, the Trenton Thunder, and while he was scheduled to make1 more minor league appearance...that changed and tonight Joba is back officially with the club. It's a miracle! 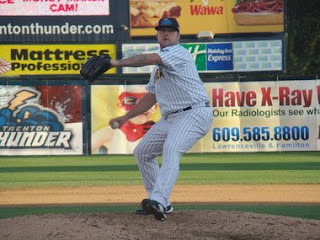 Just to recap, Chamberlain pitched 1 1/3 innings of relief and struck out three for the Thunder on Sunday. He allowed one hit with his fastball between 94 and 98 mph, and offspeed pitches that Chamberlain said, "a little harder than I expected." But now, after all the hard work and dedication, Joba Chamberlain, it was reported HERE got back with the club officially and he's ready for the stretch. Who isn't rooting for this guy? I mean Joba has been busting his tail to get back to the Bronx and I commend him for that. He's such an easy guy to get behind and I think all the fans appreciate his hard work, not to mention how he has connected with the fans on Twitter keeping us posted on his recovery. 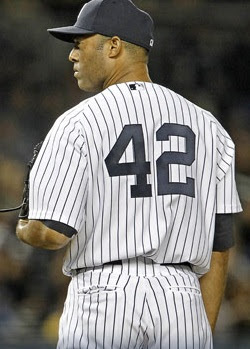 With just days counting til his return to the Yankee roster all eyes are on his appearance tonight. Go get 'em Joba! This trade has been floating around all day but BYB wanted to be sure it was confirmed before we posted it. The Phillies, who traded Shane Victorino just a short time ago, have now traded outfielder Hunter Pence to the Giants. 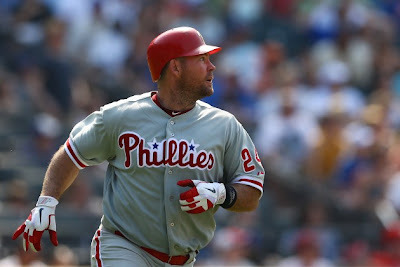 The exact details of who the Phillies are getting in return are a bit fuzzy but SI's Jon Heyman tweets the deal will be a three-for-one, with the Phillies also getting right fielder Nate Schierholtz and perhaps a pitcher. Pence batted .271, 17 HR's and 59 RBI for the Phillies this season. He joined the Phillies one year ago in a trade with the Astros. 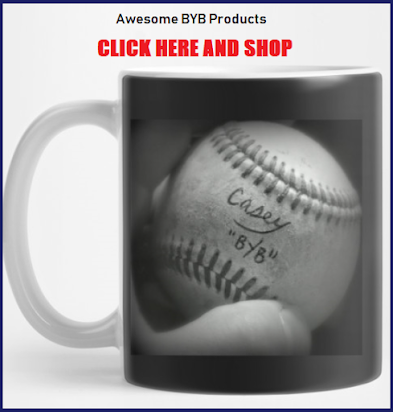 BYB will bring you all the latest today on this very busy MLB "holiday"! According to Yahoo's Tim Brown, the Dodgers have traded for Phillies outfielder Shane Victorino. Victorino was originally drafted by the Dodgers in 1999. In return the Phillies get Dodgers starting pitching prospect Ethan Martin and reliever Josh Lindblom; along with a player to be named later or some cash. Victorino, 31, has $3.3-million remaining on his contract and will be eligible for free agency after the season. The center fielder batted .261, 9 HR's, and 40 RBI in 431 plate appearances for the Phillies this year. 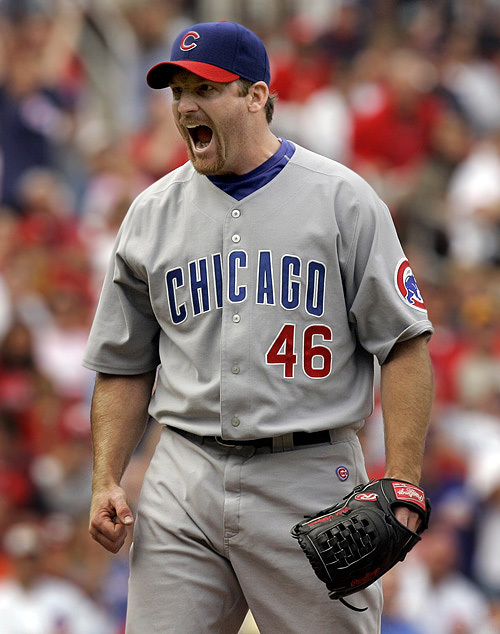 Ryan Dempster: Multilple sources suggest that the Yankees have stepped up their pursuit of Ryan Dempster. If anything happens with Dempster and the Yankees, but Jon Heyman suggests there is NOT TRUTH to that report. read HERE. Bottom line, no one really knows until it comes out that we really know. Ha ha. Whatever, we will bring it to you here at Bleeding Yankee Blue. Shane Victorino: The Dodgers are close to acquiring Shanve Victorino. This is coming from Jon Heyman at CBS Sports.com. Read that HERE. Geovany Soto: Soto was traded to the Rangers with cash for minor league pitcher Jake Brigham. Read HERE. Matt Garza: Multiple teams are talking to the Cubs about getting Matt Garza on their squads. The Blue Jays and Rangers are 2 teams connected right now. Read HERE. No word on movement yet, but don't forget, the Yankees have been connected to Garza for quite a while now. If any news comes down the pike, Yankee or Non-Yankee related and we see it important...we'll bring it to you. 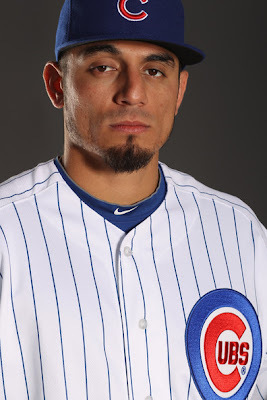 Carlos Ruiz: OK, this one’s a little more far fetched, but hear me out. The Phillies seem to be in sell mode, and the Yankees could definitely use a catcher. 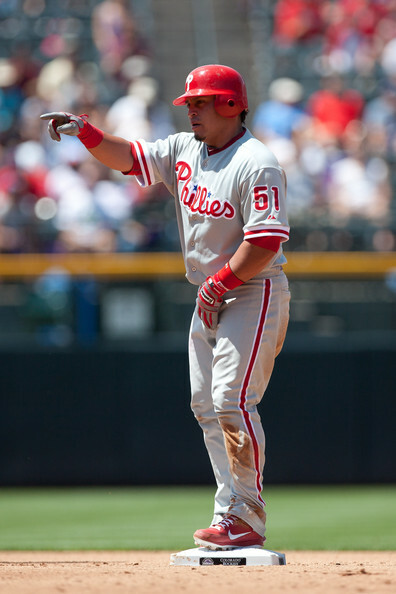 Ruiz has been incredible this season for the Phils, as he’s hitting .342/.407/.569 on the year. The Yanks would likely have to give up a top prospect or two (Think Mason Williams or Manny Banuelos) to acquire the services of Ruiz, though it’s definitely worth it. Ruiz would be the primary catcher in place of Russell Martin, and that would be pretty nice. This trade likely won’t happen, but we’ve seen stranger things before, right? Ty Wigginton: The Phillies are clearly in sell mode. 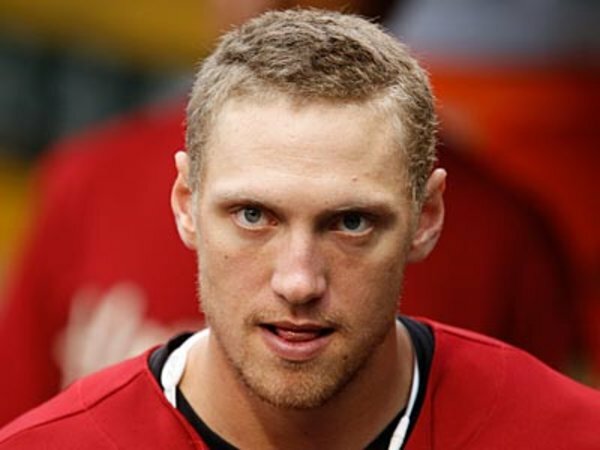 Hunter Pence, Shane Victorino, Jimmy Rollins, and Juan Pierre have all been linked in the rumor winds over the past several days, and you can add Wigginton to that list. The Yankees could sure as hell use a third baseman with ARod out for the foreseeable future. Wigginton isn’t that great (hitting .230/.300/.366 on the season), but he’s versatile and the Yanks could get him for table scraps. He would likely replace Jayson Nix, though that would be basically a lateral move as far as I’m concerned. I don’t know, I may be splitting hairs, but I have a feeling Wigginton would work out in the Bronx. Edinson Volquez: Though most believe the Yankees need a starting pitcher due to Andy Pettitte’s recent setback, I’m on the other side of that fence. For now, I think the Yankees’ rotation is fine, though if there’s an upgrade out there the Yanks should at least look into the situation. 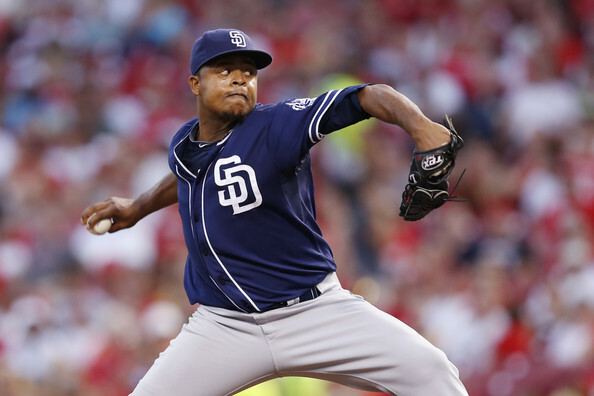 Edinson Volquez is quietly resurrecting his career out in San Diego, posting a 3.30 ERA and strong home run (0.6 HR/9) and strikeout (8.2 K/9) rates, though he leads the National League in walks allowed (73), which is definitely a cause for concern. There’s something to be said about achievements in life. Not everyone in life thrives for achievement, in fact, many people live their life to accomplish “just enough.” I see it differently; We all watch baseball on a regular basis right? We watch the Yankees and we know what it takes to win. Each night someone does something special on that team and some of those special things are milestones, or achievements that they can talk about as they get older in life. It really doesn’t matter how small these achievements are to some, if you personally believe in that goal and you hit it, it’s yours and no one can take it away from you! No one should ever hold you back. Look at Derek Jeter. He could have stopped when his contract was up and everyone in the New York Sports media practically ripped him for hitting .270. He could have retired right then, after all, he achieved enough… But he didn’t. He believed in himself and kept going. Look at my 3 year old. My wife said he wanted to tell me, so she set up the phone for him to call me. He was proud to “pee in the potty” and he needed to tell me all about it. 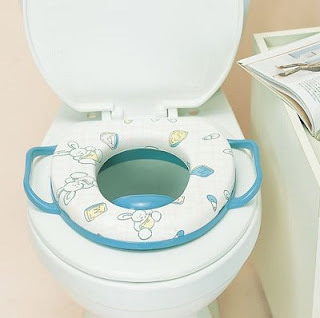 Meanwhile, he didn’t stop trying, despite, not making it to the toilet so many times before. He had a goal and he went for it. He accomplished something “big”, a milestone, an achievement and no one can take that away from him. 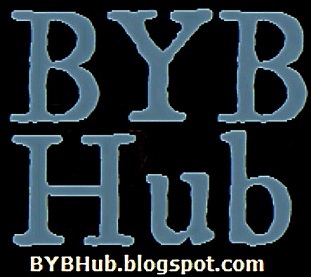 I was thinking about BYB recently and how many blogs helped us understand the way things worked in the Internet world when we began with no audience, and I was grateful they even let me into their "club." Then, over time you guys found us and now you know who we are. Believe me though, there were plenty that told me that BYB was “stupid” too. 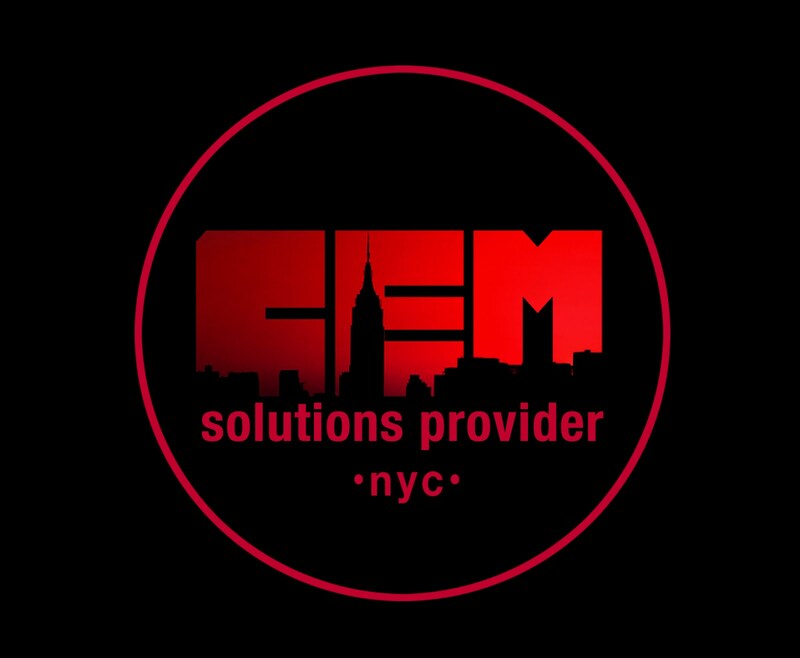 They told us our site looked “ugly”, that we didn’t add anything. Sure, it hurts, but I realized something right then and there; I knew what they were all full of crap. Sure, we were different, but that was it. 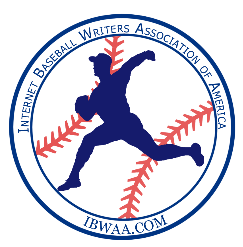 Do we try to overrule everyone with Yankees blogs? Hell no. Why would we? First off, some of these Yankee blogs out there are the “Godfather” of Yankee blogs and their the reason for us even thinking about getting started. Plus, who has time for ripping on other blogs? Not us. Secondly, we just want to chat it up with the readers at BYB and try to bring you interesting stories and make you laugh alittle. We’re not trying to re-invent the wheel here. The good news is, you guys got it. You like us, you know our word isn’t law…because, we don’t. We’re just having fun and who would have thought that from September 2010 until right now, we’re climbing to almost 1 million clicks on Bleeding Yankee Blue. That’s not only amazing, it’s magnificent. In the end, it’s an achievement and something I will never forget as long as I live. So why am I tell you this? Well, it’s funny, I got to thinking about life recently and how people try to put others down because they think they can or because they don’t believe in this person or that person. Some don’t believe in you because it wouldn’t benefit themselves. Some won’t publicly highlight your achievements because they may be jealous. In all those cases… remember this; The message is clear, it doesn’t matter. You need to be good to you. Never give up on yourself...ever. Do you! If you do, you will achieve everything you want to achieve in life, or at least come damn close. Life isn’t a free ride, you need to push to the top and anyone that gets in your way, well, you just need to tell them to step aside, especially if you’re passionate about it…and you should be. That goes for the Yankees, current and past, the USA Olympians who continue to wow me every night and even my 3 year old son. Don’t take “No” for an answer...instead, shoot for the stars. No one will tell you that more than a guy like Jorge Posada. Don't forget, he was considered the awkward one, the slow runner, the "OK" catcher. And in the end, he became a beloved athlete, a Yankee for life and a great catcher and teammate, not because he thought he could, but because he knew he could. Bottom line, in the end you count and your feelings count and anything you want to achieve, you can. Don't believe me? Just ask my 3 year old son. Never imagined this one! 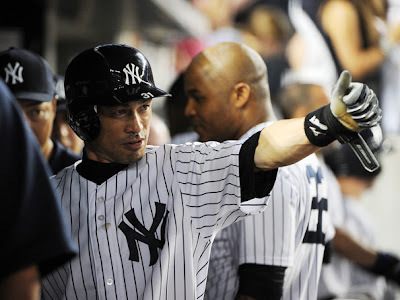 An acquisition worth talking about…You know the one that landed Ichiro Suzuki in the pinstripes, read HERE. This is a huge addition especially in lieu of all the injuries that plagued the Yanks this season. Very nice cushion as we move forward to Oct! 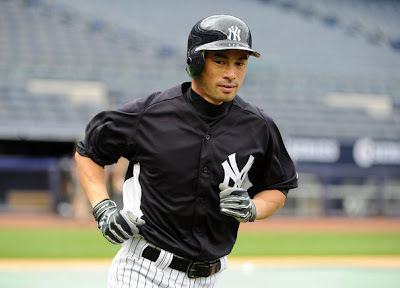 Welcome to the Bronx Ichiro!! Losing Mariano Rivera sent chills through Yankee Nation. But Mo quickly eased our minds by saying he wasn’t going out like that however his return to the Yanks is now questionable….WHAT? Rivera recently stated “I don’t even know if I want to play next year. I don’t know what tomorrow is going to bring. One day at a time”, Read HERE. Please Say it Ain’t So! I can only hope that Mariano will continue to rehabilitate and that over time those Pin Stripes will weigh heavy on his mind! Another one Bites the Dust seems to be the theme of the 2012 Yanks, Unfortunately! Adding ARod to the growing list of disabled is enough to make you shake your head! Read HERE. With this said we must remember there is an equal positive for every negative. 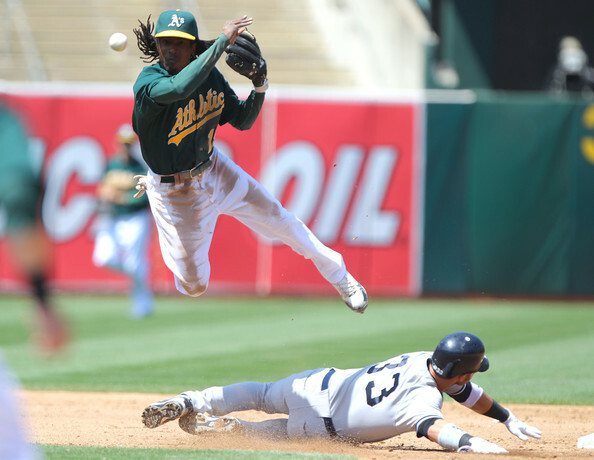 The positive is the Yanks are on top of their division regardless of the hurdles they’ve faced. It appears this team is tough and eager for a ring! 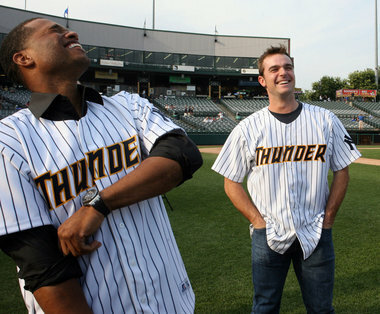 Robinson Cano and David Robertson were honored in Trenton for their respective charities. MVP foundation gave the charities $25,000 each. Read HERE. It’s great to see these Yankee phenomenon’s donate their time and fame to help others. Check out these charities and help if you can. Don’t forget to buy the famous Bleeding Yankee Blue shirt. It’s stylishand helps the High Socks for Hope Charity! The crowd roars boo in Oakland when Nick Swisher steps to the plate! Swish scratches his head on this one. 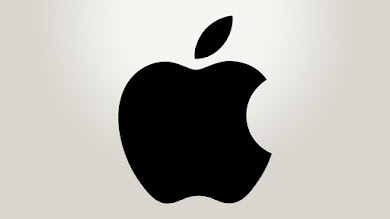 Can’t understand why you are hated there? Read HERE. Well Swish here is two reasons. #1- You don’t know what you got til it’s gone! #2- Haters come with the Yankee uniform. Just grin and bear it because you are the man Nick! 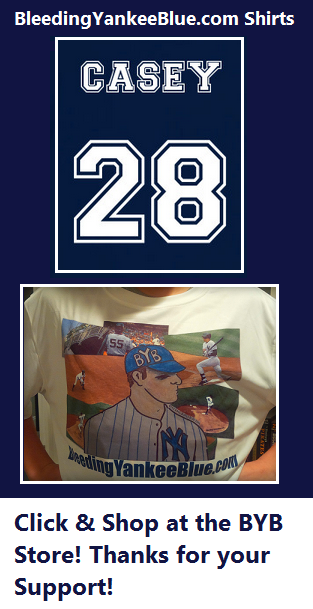 OK Yankee fans this one is from a couple weeks ago however I think it should make the shorts list. Stating Spike Lee caught Mark Teixeira’s bat is a bit scripted, read HERE. Technically he recovered the bat after it fell in front of him. An excited Spike showed his enthusiasm by demonstrating his baseball swing. Let’s just say you don’t need to quit your day job! Besides we all know that Jay Z is the ultimate Yankee fan! Where’s Wally the Green Monster? (Read HERE) First of all let’s make this clear the Yankees don’t know and don’t care! It’s comical that the buzz about the missing monster resulted in a conspiracy by the Yanks to distract the Sox. Wow! 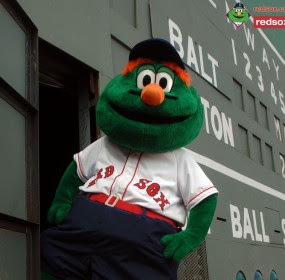 Let me help you out here....The last time I checked the standings you Red Sox have bigger concerns than Wally. Just Sayin'! Wally was found, read HERE, but this silly story was all over the net! We're not fans of Buck Showalter these days so we stumbled across this GIF file of Buck Showalter in an awkward moment after a missed "five". It's actually kind of funny, so enjoy it. 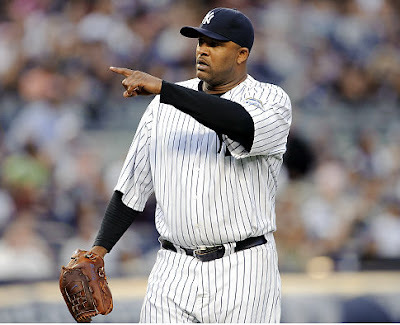 Calling all Youth….CC Sabathia is set to visit Verona High School in NJ on Aug 2nd to host a youth baseball camp. Read HERE. The camp will focus on the fundamentals of baseball! Thanks to CC for giving our youth such a great opportunity. 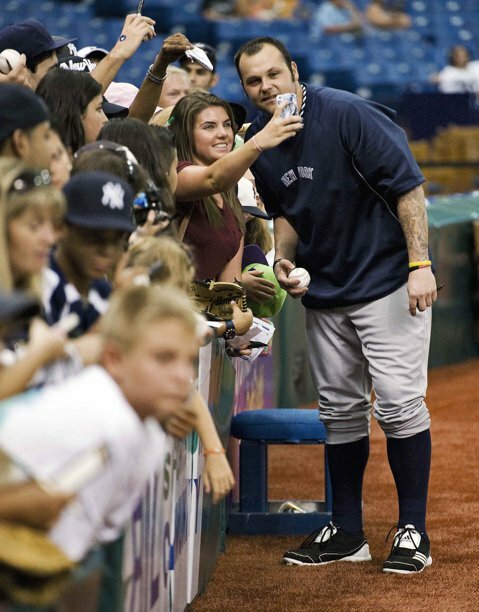 The return of Joba Chamberlain may be sooner than ever expected. We all know Joba has faced his fair share of adversity however he has consistently climbed back to the top. Read HERE. Cashman stated he "has been doing great'' noting that “He’s been hurt, he gets hurt a lot, but then his recovery time is like super-human." This is definitely great news for the Yankees especially going in to the post season! Chase Headley: With ARod out, we could use a guy at third base. I like Chavez as much as the next guy but he is accident-prone. And Ramiro Pena has a questionable bat. Headley could take over at 3rd base until ARod comes back. The best thing about Headley is that he is also an outfielder. 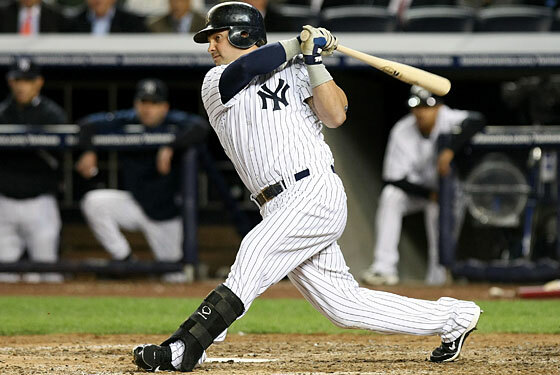 With the possibility of Nick Swisher not returning next season, Headley could take over right field. He is hitting .265, but Petco is a difficult place to hit. He’d be a nice fit into the Yankees line up and could come alive at a field like Yankee Stadium. The problem, of course is the price tag. 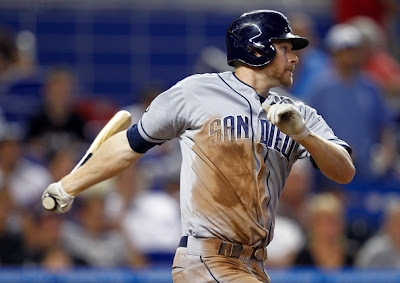 It seems the Padres are determined to ask for a King’s Ransom and as Cashman has said on several occasions, the goal is to bring the spending budget down. 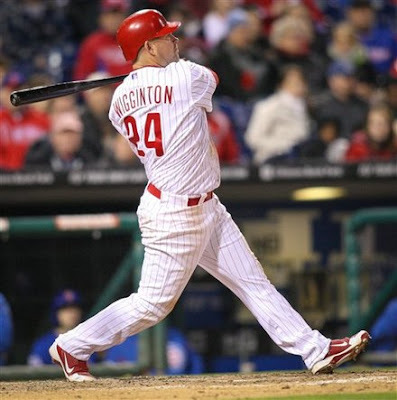 Ty Wigginton: definitely another option. With him being in the last year of his $8 million dollar contract, the price is right. He goes into free agency as of 2013 with a team option. His contract is unrestricted though so he wouldn’t necessarily play for the Yankees next season if he does choose to play. Wigginton could take over third or share the position with Eric Chavez until ARod comes back. He would be more of a “Band-Aid” fix instead of a long-term solution though and that worries me. Cashman has never seemed like a “Band-Aid” fix kind of guy. Justin Morneau: Another guy I have had my eye on is Justin Morneau. He is only hitting .260. But he has 13 homers and 46 RBI’s. The biggest obstacle I see with Morneau is his contract. $19 million still left through to next season, no one sees this actually happening, but with Tex hurt and with no one thinking the Yankees would sign Ichiro with his $17 million dollar price tag (Except BYB), anything is possible. Like I said about Chase Headley, Cashman is looking to lower the spending budget though. He has a .322 OBP, .457 SLG and .996 fielding percentage. Of course there is the fact that he is a first baseman. But with Teixeria getting pulled out tonight, he might be just what we need. The truth is, the Yankees need a bat. Getting Ichiro was a great move by the organization. With Alex out now for six to eight weeks, we could always beef up a bit, we can get guys that could play third base but also be moved when they need to. Here comes the trade deadline...get ready. YANKEES ARE ONE RUN SHORT AGAIN. WTF? One of the nation's most respected news magazines reported in it's most recent issue that the midwestern drought in our country is worsening. The story characterizes the situation as a "creeping disaster." The article went on to say that droughts unfold in slow motion, day after dry day. That sums up the Yankees circumstance right now. Four straight losses to Oakland on the last road trip followed by a general malaise that has produced four more losses since that series with the A's. The Yankees now stand at 3-8 over the last eleven games. Yankee pitchers have allowed 12 home runs over the last ten games. Freddy Garcia allowed 3 runs on 9 hits in his 6 innings of work. His line could have been even worse had the Yankees not turned three double plays behind him. Garcia was charged with the loss and falls to 4-5, 5.10 ERA on the season. 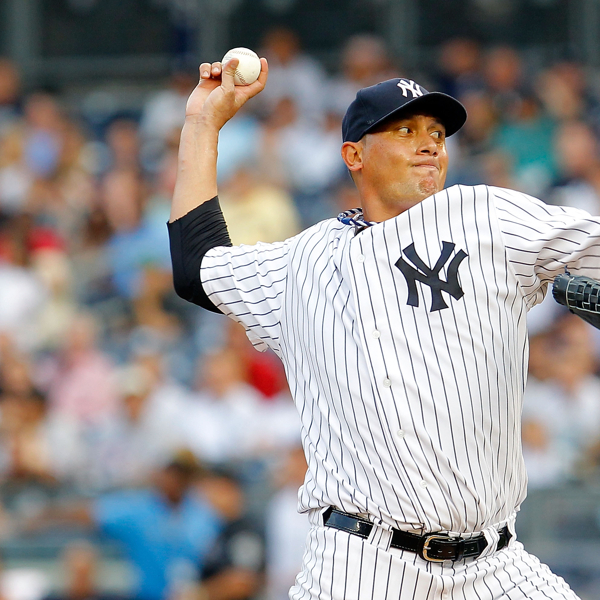 The Yankee bullpen was almost as bad, allowing two more runs in three innings of relief. Boone Logan pitched two-thirds of an inning. Ironically he retired the first two batters, both right hand hitters, but allowed a walk and hit to the two left-handers he faced, giving the Orioles a 5-2 lead. David Phelps yielded a hit and a walk in relief of Logan. The Yankees had rallied with two runs in their half of the seventh with back-to-back home runs from Eric Chavez and Ichiro Suzuki. 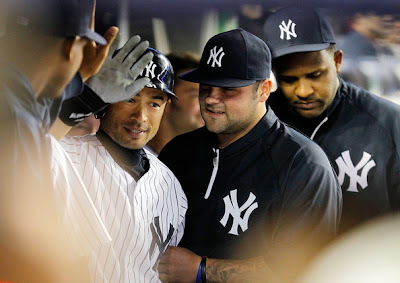 Suzuki's home run was the 100th of his career and extended his Yankee hitting streak to seven games. Later on, Chad Qualls bailed the Yankees out of further trouble by retiring JJ Hardy and Chris Davis. His effort preserved one last chance for the Yankees in the bottom of the inning. 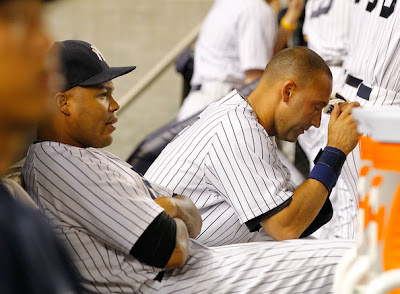 The Yankees entered the ninth inning 0-34 this season when trailing after eight innings. Despite a Nick Swisher double to lead off the ninth inning and a walk to Chavez, the Yankees could not score the tying run. Raul Ibanez struck out, Ichiro grounded into a fielder's choice, and Russell Martin struck out. The Yankee record fell to 0-35 when trailing after the 8th. 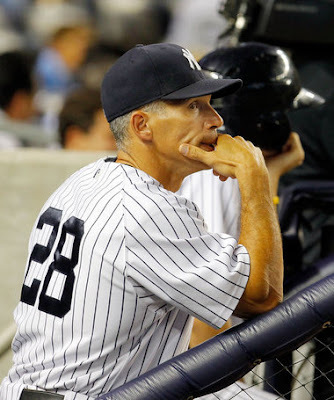 Joe Girardi was his usual glib, rationalizing self following the loss. The only real concern he showed was regarding the wrist injury to Mark Teixeira. He seemed to incur the injury diving for a ball to his left. Teixeira's post-game comments revealed that he was actually injured in one of his at bats against the Red Sox last night. Nevertheless, if Girardi believes that his team can continue to coast in the manner of the last eleven games, perhaps he should hearken to the words of the Judas Priest rock anthem, "You got another thing coming!" Final score in this game Orioles 5 Yankees 4. Could be another hot dry day tomorrow. OK, so we don't know much but this... Mark Teixeira hurt his wrist while diving for a ground ball in the 7th inning tonight. Tomorrow he will be going for an MRI to see what's up. There is a cause for concern here and it looks like Brian Cashman could be working the phones alittle harder than originally thought if Tex is out for any extended amount of time. 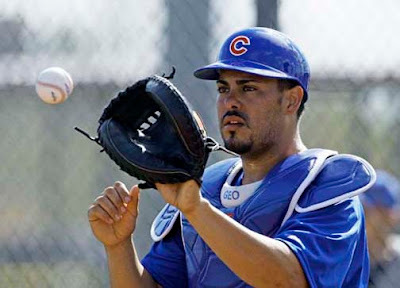 I mean, let's face it, Eric Chavez can play third, but he can't play first AND third. Yankees loss tonight 5-4 against the Orioles. There will be a recap soon...look for it here at BYB. Kiley McDaniel of ESPN says that Hensley touched 95 mph but ranged between that 90 and 93 range in his 2 innings. Read that tweet HERE. Ty also threw 3 pitches, Fastball, curve ball and change up. Atta boy. Anyway, good one by RAB today, give credit where credit is due. 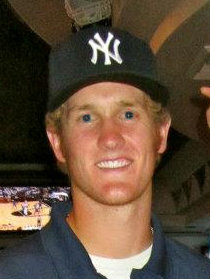 "I was very excited... My first game at Yankee Stadium [as a Yankee] was against the Boston Red Sox.... In Japan, you grab your cheek to see if it's real or not, if you're dreaming. That's really how I feel right now." "I used to have a Yankees uniform as a fan; I wore that in Japan... Also, in the 2001 All-Star Game, I traded jerseys with Bernie Williams, so I put that on before. Obviously it's very special." Back on July 15th, Pete Caldera of the Bergen Record made me smile. He did a terrific piece about what every true baseball fan should be doing once in a while. Opening up the junk drawer just to see what types of collectibles, no matter how big or small or expensive or cheap they are. You know, the stuff you've accumulated over the years. Pete's idea for his piece came from the story about the guy in Ohio that found those baseball cards of Ty Cobb and Honus Wagner in his grandfather’s attic…read that story HERE. 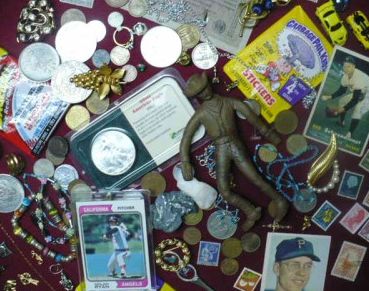 Caldera described some of the stuff he found around his apartment, like a matchbook from Rusty Staub’s restaurant (Rusty Staub's on Fifth) that used to be opened back in the 1980’s, a 1980 Yankees Yearbook and an old Abbott & Costello “Who’s on First?” cassette, among other things. I had to laugh. I own an autographed Rusty Staub menu from the old restaurant somewhere as well as that Abbott & Costello cassette. But that’s not what I found in my basement. I'm a card collector, but this one seems to have snuck away from my collection and was sitting in a top drawer of my laundry room. It's a 1956 Topps card of Eddie Robinson, he was with the Yankees from 1954 to 1956 until he was traded to the Kansas City Athletics. He was a career .268 hitter with 172 homers in 13 seasons. Anyway... I thought that was interesting. This is a pen I bought from at a Newark Bears game a few years back. 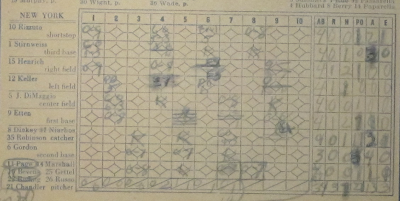 I was never good at keeping score while at the ballpark but I gave it shot that day, I didn't have a pencil. I bailed on it in the 4th, but I kept the pen. Here's a signed picture of Bo Jackson, someone I really idolized for his talent on the baseball field as well as football field. The "Bo Knows" days were a phenomenon. I think I got this signed years later...he was already retired. This is one of my favorites. It's an older ceramic Roger Maris bobble head that I bought off a dealer on ebay in the 1990's. I've always had a thing for Maris and reading the history of how things went down in 1961, and the stress of the Home Run race. I've always had a soft spot for him. Luckily history happened the way it did for the Maris family. Anyway, I love this piece. Look OUT! A 1971 Ken Singleton Topps baseball card. Love it. I was born in 1971 and for a while there I was trying to collect every 1971 card so I could complete the set. That hasn't happened yet, I still have a long way to go. But it's still fun. Remember Chase Wright? He was going to be the next big thing for the Yankees...or at least the next big thing for the moment. I kept this I guess thinking it may be worth something. It's from that 2007 season. It's not worth a thing, but that's OK. I did alittle research and found out Chase still pitches. He's 29 years old these days and plays for the Somerset Patriots. Good for him! I love this. This is a 1946 Yankees program and scorecard and inside, the Yankees played the Red Sox. I got this from a friend a few years ago. 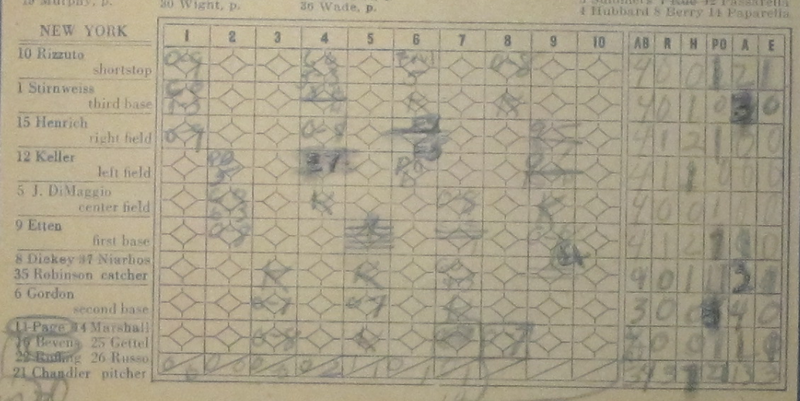 The scorecard is filled in. If you click on the image below, you can just make out some of the players that day for the Yankees...Joe DiMaggio, Phil Rizzuto, Bill Dickey. It's just a cool, yet frail and old collectible that I stare at from time to time. So, what do you have in your junk drawer, or basement or closet? Tell us here at BYB, comment! I’d love to hear about it. Better yet, take pictures of your items and send them to Bleednyankeeblu@gmail.com and we’ll do a piece about it. Include your name and the city you're from with a picture of something you’ve come across. I can’t wait to see what you guys have! And thanks for the idea Pete Caldera, you da man! Enjoy this everyone!